APMG Certified PPP Professional (CP3P) Certificate Awarding Ceremony was held on 15th November, 2018 at the Public Private Partnership Authority Conference Room. Md. Nojibur Rahman, Principle Secretary to the Prime Minister, PMO graced the occasion as the Chief Guest. This award giving ceremony was chaired by Syed Afsor H. Uddin, CEO of the PPP Authority. Md. 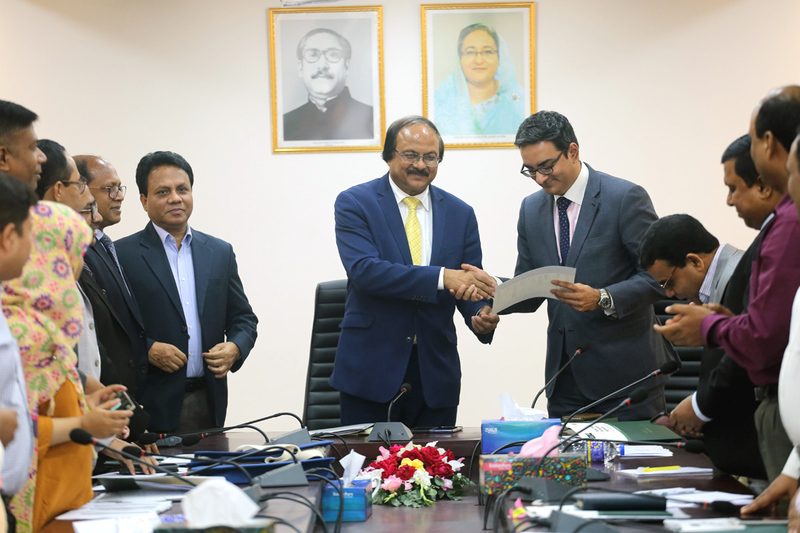 Faruque Ahmed, Director General of the PPP Authority welcomed the Chief Guest with a Crest. The APMG PPP Certification Program is an innovation of the Asian Development Bank (ADB), the European Bank for Reconstruction and Development (EBRD), the Inter-American Development Bank (IDB), the Islamic Development Bank (IsDB), the Multilateral Investment Fund (MIF), and the World Bank Group (WBG). A part of the program is funded by the Public-Private Infrastructure Advisory Facility (PPIAF) with a shared vision of enhancing PPP performance globally. The Foundation certification is aimed at developing individuals who are involved in PPP projects with working knowledge of the key principles of PPP and financing aspects of PPP projects. The APMG CP3P training and Foundation examination was held during 1- 4 September, 2018. It is mention worthy that the Foundation certification is a pre-requisite for the Practitioner certifications, which is currently ongoing with the same participants. Honourable Chief Guest congratulated the participants who successfully took part in the Foundation certification exam and successfully passed to become eligible to receive the prestigious certificate.